Posted By: admin 0 Comment Airways, Electronics, Qatar, slams, U.S. In a move that caught the aviation industry by surprise, President Trump’s administration last month banned passengers from carrying anything larger than a smartphone on some flights to the U.S., citing security concerns. 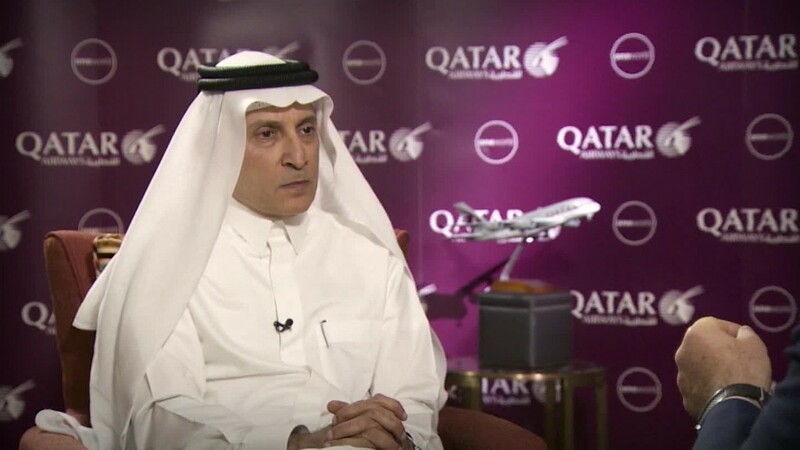 “If [Trump] continues this way, at the end of the day you will have people sitting in the airplane with underwear and nothing [else] on them,” Al Baker told CNNMoney’s Emerging Markets Editor John Defterios. “Yes, we have had a drop in passengers but it’s a manageable drop and people have started to realize that there are other ways to use laptops,” Al Baker said. The fall in bookings was less than 10 per flight, he added. Emirates President Tim Clark told CNNMoney last month he didn’t believe the U.S. was using security concerns as cover to tackle commercial issues. The airline said it supports more than a million U.S. jobs through its flights to the U.S. and orders of Boeing(BA) jets.